Beverly's Official Blog | News and findings from world of crafts, scrapbooking and more: Garden View: A Touch of Spring During Fall! Garden View: A Touch of Spring During Fall! 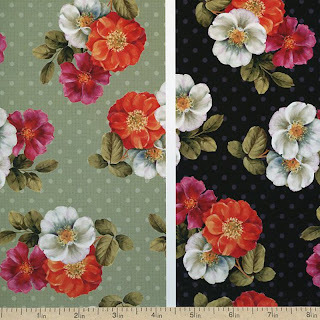 Like Wilmington's Secret Garden collection, Garden View by Lisa Audit is another floral-focused fabric collection that brings on a springtime state of mind! 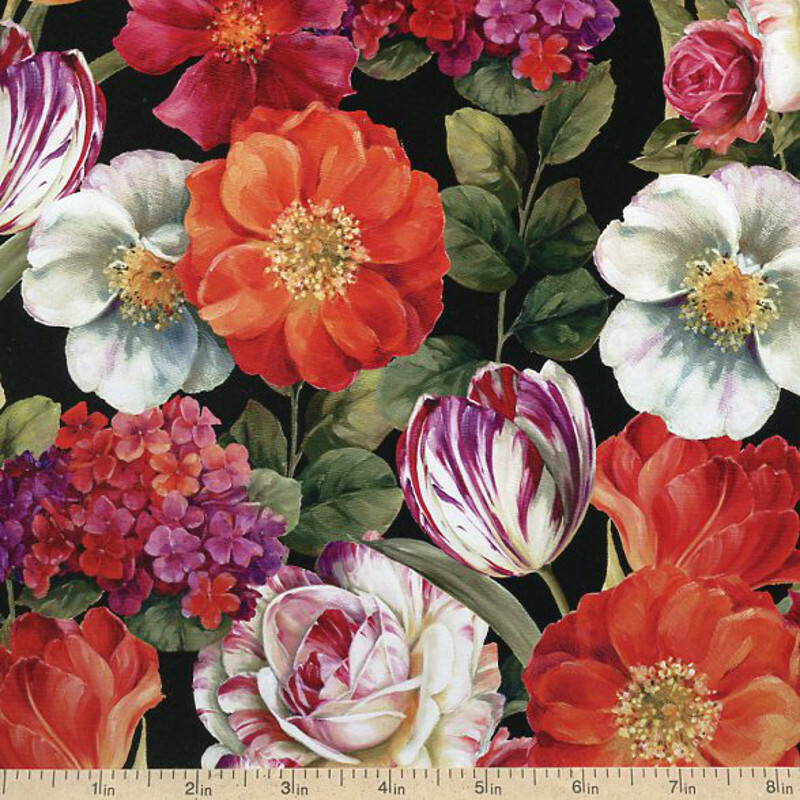 Features a mixture of tulips, daisies and roses, with a palette ranging from bright red to creamy white to deep purple. A black backdrop allows these colors and realistic floral prints to really pop. The elegant simplicity of this collection makes it a perfect coordinate in a quilting project, or as a lining fabric for pillows or the inside of a tote/handbag. It also has plenty of potential as an apparel project such as a skirt, blouse or summer scarf. Garden View ships in August and will make an excellent addition to your collection!